I have had way too much fun playing with the So Much Cuteness release this month! 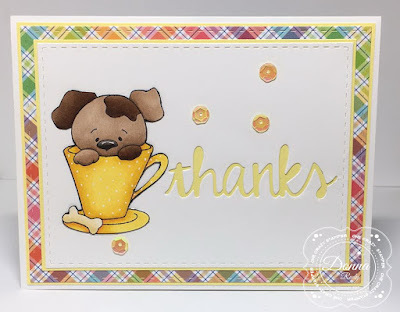 I couldn't let the month go by without playing with the oh so cute Teacup Pup! I think he is just adorable peeking out of the cup! I have coffee or tea with friends the odd time either at their house or a coffee shop so I thought he would be perfect for a thank you card to give after a nice coffee/tea with a friend. After colouring this cutie with alcohol markers I hand fussy cut him out. I added some polka dots to the tea cup with a white gel pen just for fun. I cut my piece of background cardstock and after roughly placing where I wanted my stamp to go, I added my word die and cut it out. Some sparkly sequins finish off my card. This is more of a simple layout then I usually do so I was a little out of my comfort zone but I am happy with how it turned out. Now this is seriously "So Much Cuteness"!!! 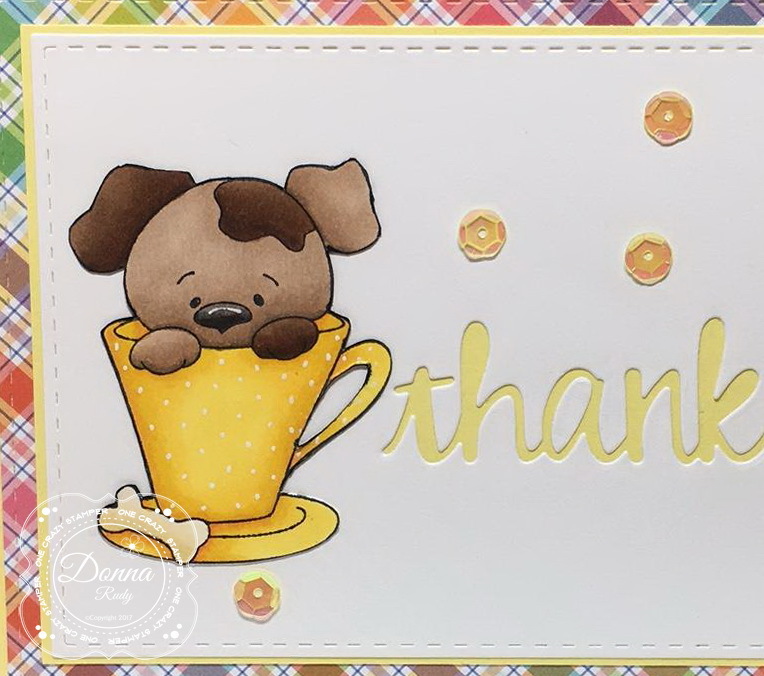 Love the polka dots and how you cut out the thanks! 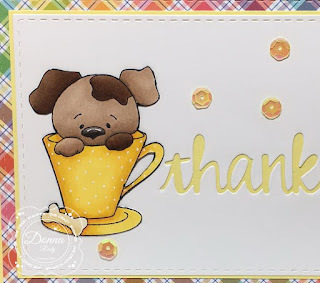 The CAS design really shows off "teacup Pup" perfectly! !